This cap is as cool as it is burning hot, with flames on each side of the cap from the bill to the sides. Made of brushed heavy cotton, it has flames embroidered onto its surface to ensure a long lasting design. There are small air holes at the top of each of the 6 panels for ventilation to keep things cool. This is a one size fits most, adjustable with a strap and buckle. The cap is a low-profile design, so it fits snug on your head not high. Only comes in one colour to make things simple. 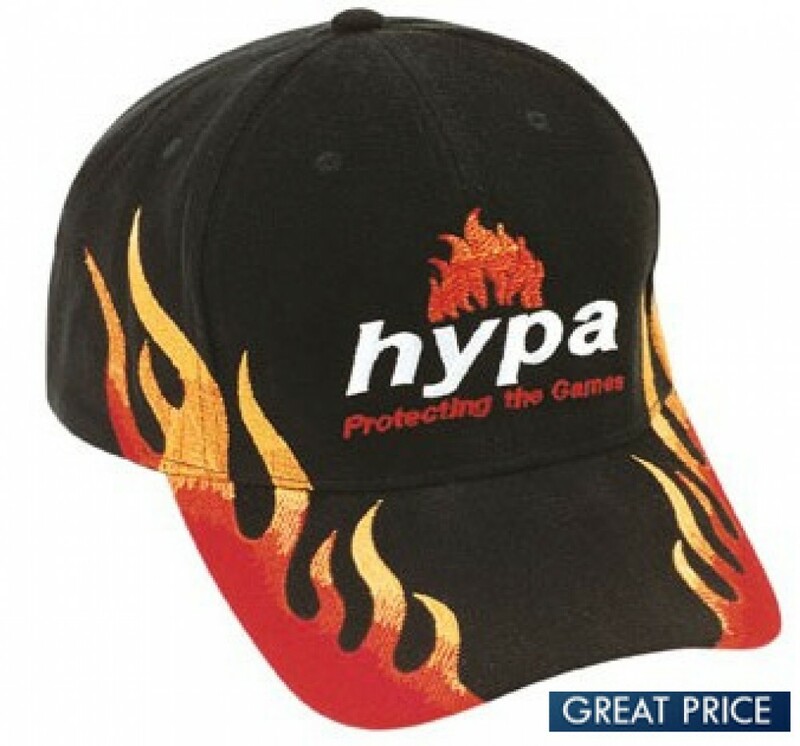 With its eye-catching stylised flames, this cap is ideal for any business that wants to show how 'hot' it is. These flames are great for retail and sales staff in the automotive industry, fire prevention, racing, cooker and barbeque sales, welding services and restaurants that sell spicy food. This is also a perfect promotional item as well or a great hat to sell with some of your latest designs on it. This cap only comes in black and the flames only red and yellow. In addition to its existing embroidery, we will embroider your custom logo onto them. 8000 stitches of custom embroidery comes as standard. Listed price excludes GST and freight costs.